Rádio Charrua was heard in Lemmenjoki during the LEM333 pedition in early November 2013. During the first half of November last year the cx was heavily influenced by proton storms making receptions towards the north of the Americas, i.e., USA/Canada and Mexico and even the northern parts of South America, almost impossible to hear. With the exception of a couple of days almost all signals from the Americas heard originated from stations from the Brazilian states of Paraná, Santa Catarina and Rio Grande do Sul in addition to stations from Argentina and Uruguay. 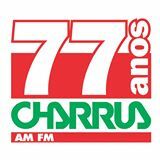 Rádio Charrua was at the time of reception on November 3 completely alone on 1140 for some 20 minutes. No interference from the usually dominating Rádio Cultura da Bahia! The frequency is a very interesting one indeed but it is very rare to get IDs from any other Brazilian than Rádio Cultura that usually tends to fade up perfectly just in time for an ID. I just received a nice confirmation of my hearing of R Charrua. Muito obrigado! R Bolivariana 1110 was one of the many stations from the Medellín area that was logged in Finland by quite a few listeners during the fabulous opening on January 21, 2014. The peak of the cx occured between 0550 and 0610 UTC. With more than 200 verified stations from Colombia I was totally surprised to be able to pick five for me new stations from this country during this opening. A rapid respons was received by FB. This station appears to have done something with its transmitter and/or pattern. It was heard in September-October 2013 with surprisingly strong signals at times. It has also been heard a several occasions since. A FB message confirmed my report of early October 2013 here in my home QTH in Botgå. 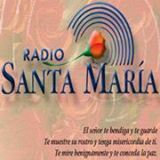 NSE – Radio Nuestra Señora del Encuentro con Dios was yet another station from Medellín that was heard during the superb opening on January 21, 2014 around 06 UTC. NSE totally dominated 1380 over Ondas del Mar for more than half an hour. A nice FB message from NSE’s HQ in Barcelona, Spain confirmed my mp3. Finally I took the time to send a message to KOVE heard in October 2012. I instantly received a very nice and long e-mail from the station owner Joe Kenney. Joe tells, e.g., about his hobbies: “My hobbies include flying my 1946 Aeronca Champ airplane and driving and restoring old cars. We have a 1953 Ford pickup, 1956 Ford Thunderbird, 1964 Corvette Stingray, 1967 Camaro, and a 1999 Corvette convertible. We also love to explore the country around Lander in our Jeep looking for Indian arrowheads. We have two Golden Retrievers, Murray and Toby, who love to explore in the Jeep, too.”. Thanks Joe! AM 850 is for some reason a very difficult frequency for Brazilian loggings. During both the expeditions of LEM294 in October 2010 and LEM307 in October 2011 I heard Rádio Rural in Guarariba, PB. 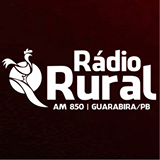 In October 2011 also Rádio Cultura from the same city in Paraíba was heard on 790, another difficult Brazilian frequencia. I finally managed to receive a FB confirmation where they asked for pictures from Borgå to be put up on their blog http://www.nordeste1.com. 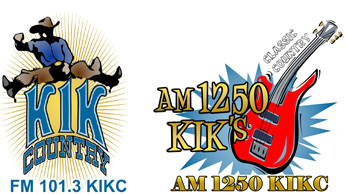 After many tries I finally got a confirmation on my report on KIKC Forsyth MT heard in Lemmenjoki on October 23, 2012 during very selective cx towards Montana.